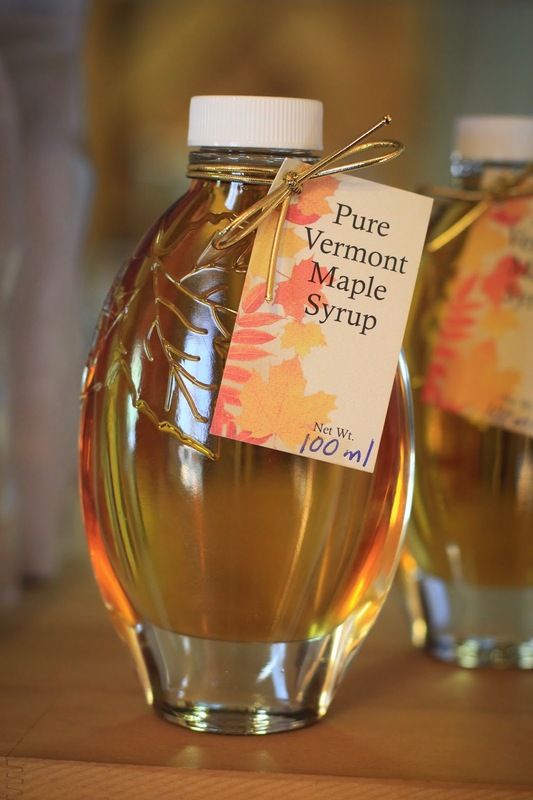 I'm taking you on a little trip to Vermont today to learn all about maple Syrup. It's hard to believe a month ago we were in New England and today we are in Asia. Dave planned pretty much 99% of all the activities for our New England trip because I was 'planned out' after organizing everything for our big move to Asia. I helped him book some lodging but that was about it. He did awesome finding fun things to do. 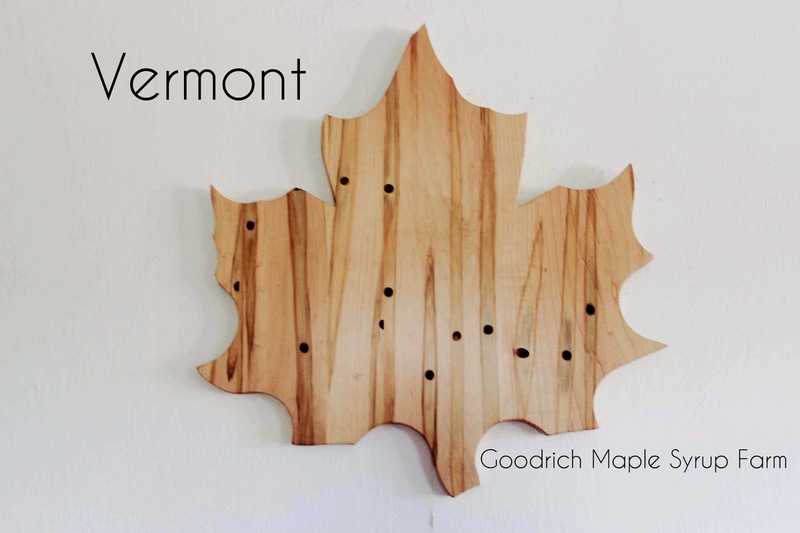 For Vermont, he mentioned that he wanted to go to a maple Syrup farm and like pretty much all the other activities I just said "ok" and went along. 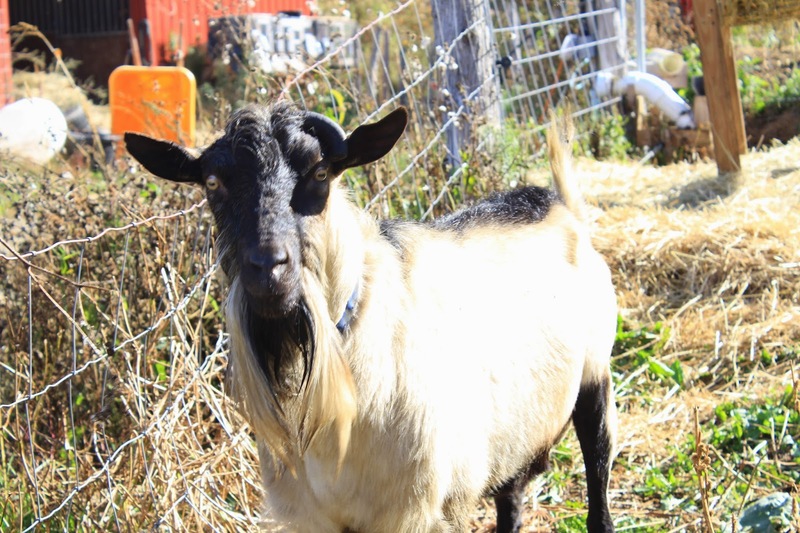 There are many farms to choose from but we went to Goodrich's Maple Farm. 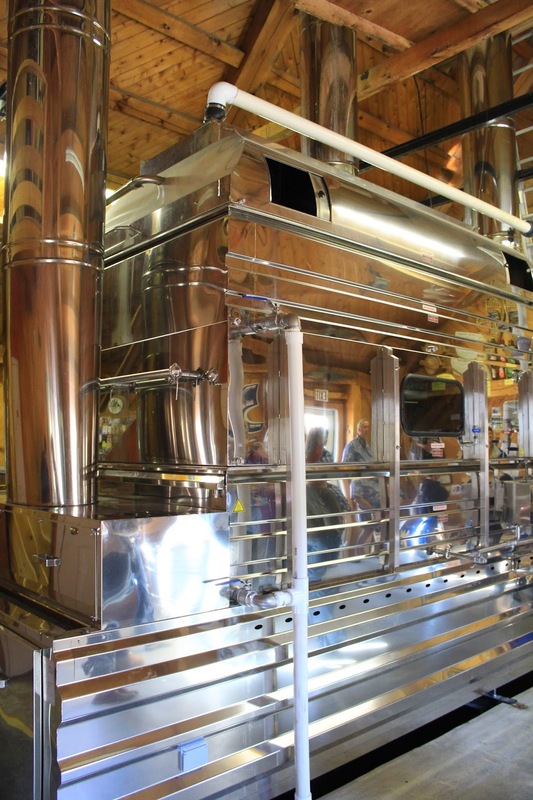 This maple syrup farm blew me away! It was super interesting and I learned so much. For starters the farm we visited had 45,000 maple trees! Whoooah! The trees have to completely rock solid freeze, which is an easy task in the frigid Northern winters. Once they start to thaw out the farm has four men that go out on snow shoes to tap the trees. Tapping and gathering sap from the trees only happens for about three months. Tapping in and of itself was interesting. They tap (drill) the tree and place a spile inside. The spile drains the sap into a tube. This tube then drains down into a master tubing system, which connects all the trees. The tubes then drain into large barrels, which are then taken to the boiling house. Hopefully the picture below will help you understand. We didn't see the taping of trees because it only happens during winter. I thought the tapping of the trees would hurt the longevity of the trees life but it does not. The maple trees have quick healing properties. So healing, in fact, that they have to tap the trees each year because if they leave the spile in the tree, the tree will heal over where it was drilled into. 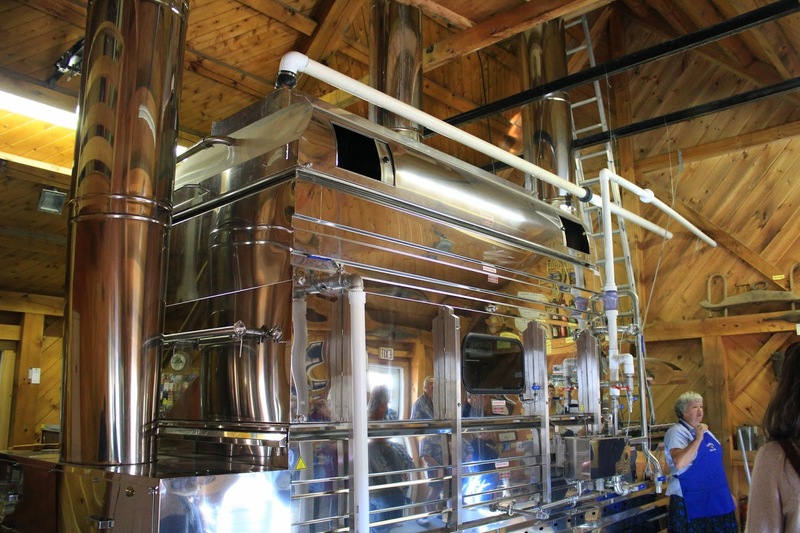 The sap is brought into the farm house and placed in this large machine. It boils to a certain temperature and then is placed in large barrels. The company sends out a majority of their syrup to be packaged. They also do not sell to grocery stores but only sell to individuals or to local bakeries. The sap isn't thick like you would think either. It has more of a consistency of water and it has to be boiled down to get the thick consistency of maple syrup. 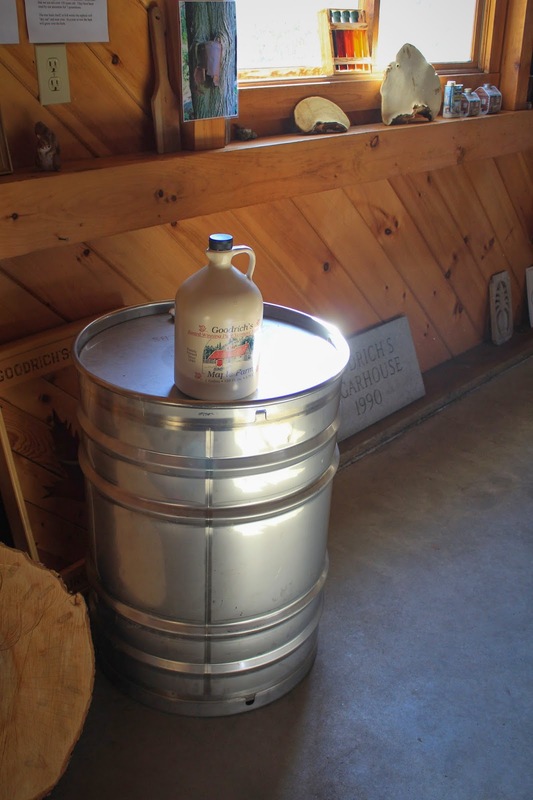 In fact, it takes about 45 gallons of sap to make 1 gallon of maple syrup! Maple syrup also has different grades or colors. I thought this had to do with how long it boiled but in fact it has nothing to do with the boiling process. The maple changes based on when it is tapped from the tree. The longer the sap stays in the trees the darker it becomes. 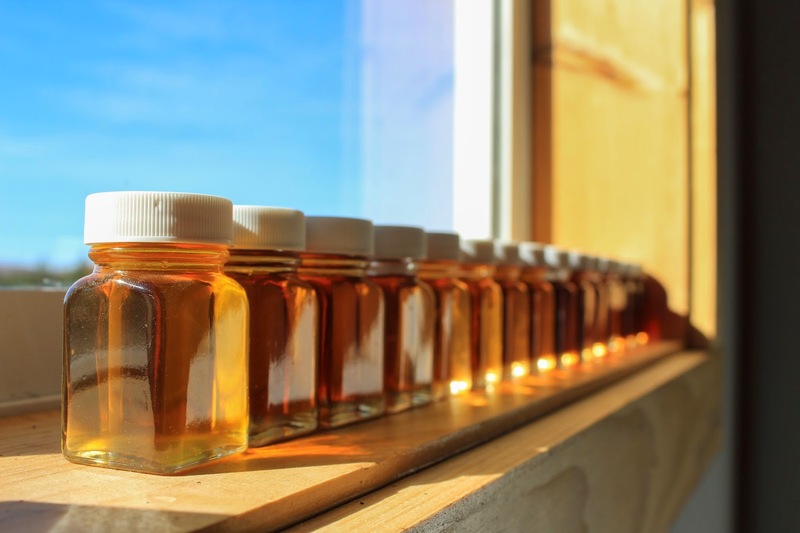 If you are thinking maple syrup has way too much sugar rest assured, pure maple syrup is full of health benefits. It has anti-oxidants and lots of other health benefits. I'm not saying go drink a gallon (unless you are Buddy the Elf) but in moderation it has health benefits. There is a whole article about it's health benefits here. Now, I live in Asia where it's 90 - 100 degrees out but I know all my friends in America are getting snow! So go get yourself some maple syrup and make some pancakes! You can even order it from the farm I visited. The company doesn't even know I'm writing this post so really it's just an honest review of an awesome product. 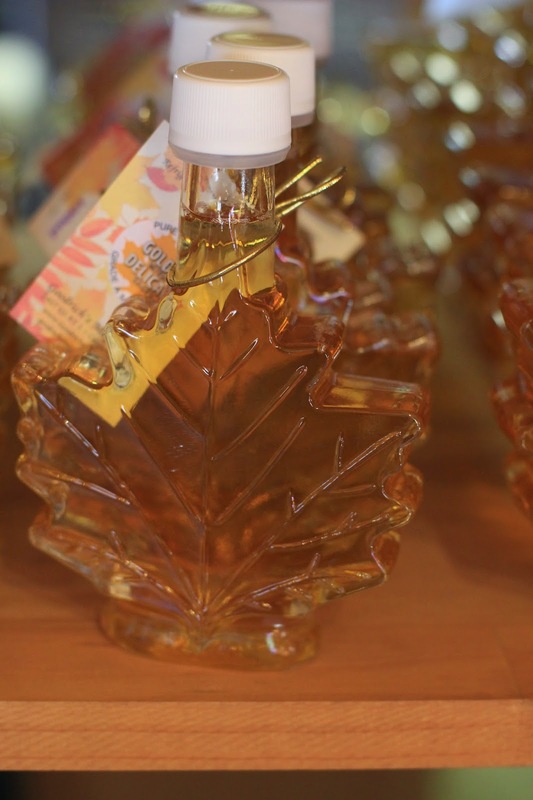 What do you think about Maple Syrup? Do you love it? Do you ever use it? What is the weather like where you live? Are you getting snow yet? We are getting snow! As much as I dislike the frigid temps in northern MN, I'm not exactly jealous of your 90-100 degrees either. It's funny that you posted this, because we just started buying real maple syrup instead of the more processed pancake syrup. It's so much better! I find that I need a lot less on my pancakes too, because there's so much more flavor. Thanks for sharing! We have snow here...but it's unusual for us to have 18" (with more coming) this time of year. We don't usually buy pure syrup, but when we do, YUM! in Vermont. 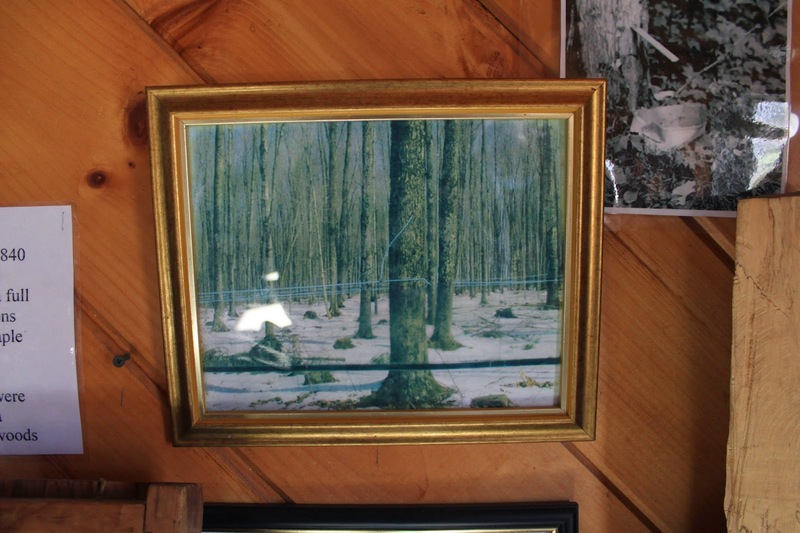 We had the privilege as a family to visit there in 1987 and went to a maple syrup factory. You know what I just realized? Dave and I didn't even buy syrup for ourselves. Ha! We taste tested some and it was really good. I ate a little bit of the syrup we bought my Mom and that was fun. How was your run? I didn't k ow it warmed back up there. That's nice to have a "warm break" before the winter hits. Have fun in the snow! I know it's not always fun to brave the temps but overall it's a good time of year. um ... 18"? That's a lot of snow? Have you gotten more since then? How fun that you go to visit there. I'm glad you guys enjoy Maple Syrup too! I love Buddy the Elf too! That's one of my all time favorite Christmas movies. I'm glad you all enjoy Maple Syrup as well. We ended up with a total of 31". Then it got warm (mid 40s) and rainy, and it all melted. We have a dusting again this morning...enough for my boys to wear snowpants and boots to school. We live about 30 minutes east of Lake Michigan, and it really wreaks havoc on our snowfall. If you drive 30 min. east of where we are, typically you don't see nearly the amount of snow. It's weird.